Simon is an experienced musician, guitarist, teacher, arranger and composer. He began learning the guitar and piano at a very early age and now has over 30 years of playing experience. Simon is a graduate of the University of Wales with an honours degree in music, specialising in composition and orchestration. Since graduating, Simon has developed a successful teaching practice delivering tuition in classical, acoustic and electric guitar as well as music theory. 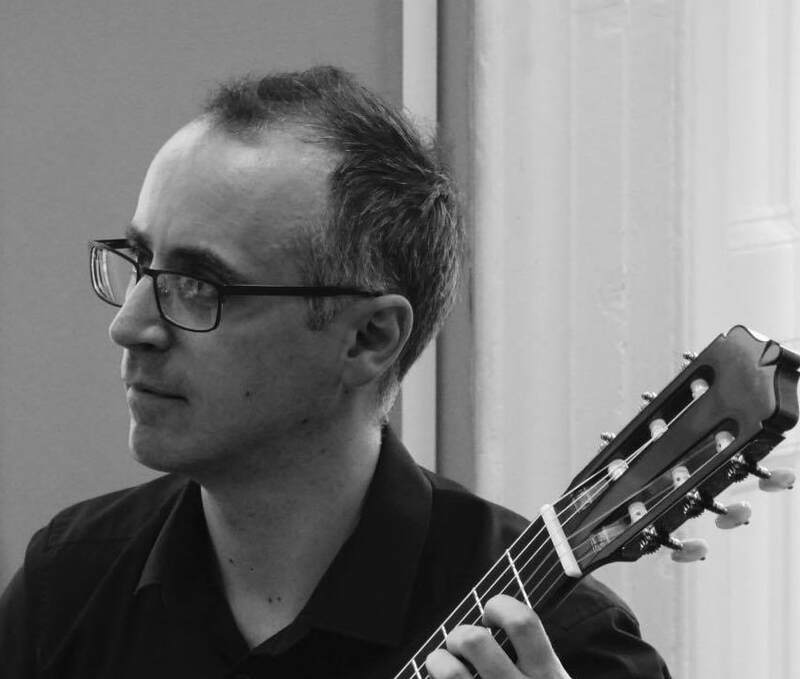 He works as a peripatetic guitar teacher in several local schools and teaches privately at his studio in Cramlington and at the Northern Music Centre in Newcastle upon Tyne. Simon holds the CT ABRSM qualification, (Certificate of Teaching from the Associated Board of the Royal Schools of Music), and is a member of the Registry of Guitar Tutors and the Musician’s Union. He enjoys attending regular professional development training as well as regional and national networking events. Simon performs as a classical soloist and as part of The Astor Flute & Guitar Duo, who provide music for weddings, functions and other events as well as performing public and private concerts. He is also a founding member of The Astor Chamber Ensemble. Simon enjoys arranging music for both ensembles and can provide bespoke arrangements upon request. Rachel began studying the flute at the age of nine and later began piano studies aged thirteen. She is a graduate of the University of Newcastle, having completed her undergraduate degree in music, with first class honours in flute performance. She subsequently achieved a master’s degree in music with a specialism in flute performance. Rachel holds the DipABRSM performance diploma (flute) as well as the CT ABRSM certificate of teaching. She is an ABRSM Music Medals teacher-assessor. Rachel has been teaching for over ten years and has built a busy and varied teaching practice. She provides tuition from her own studio as well as in several local schools and at the Northern Music Centre. She directs The Twyford Tootlers, an adult flute choir consisting of both concert and harmony flutes. As well as performing as a soloist, Rachel also performs as part of The Astor Flute and Guitar Duo with husband Simon, and is a founding member of The Astor Chamber Ensemble.